Important site-wide announcements, occasional polls to gauge member interest or opinions, and other updates can be found here. 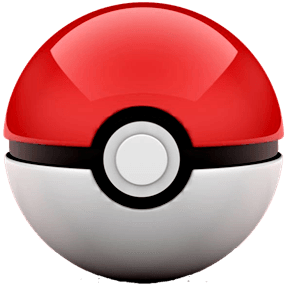 The Pokemon Terrain list is also stored here for quick access. Do you have a question about how something works, and don't see staff online or feel it needs several opinions? Do you have an idea you think could potentially change the face of Horizons? Whether you have questions or suggestions, feel free to throw them up here, as well as discuss and add input to others'. A general Feedback Thread is also located here. Want to get started with making your character? Everything you need is stuffed in here! All accepted character profiles can be found here. All active character PCs & inventories are found here. Have plans / ideas / seeking RP partners? Look no further than here! All coordinating contests and showcases will be hosted here, regardless of what city they may take place in ICly, in order to always be easy to find. Past IC Events are stored here to keep the board tidy and the threads easy to find! Note that events prior to the Star Festival of 2018 did not have their own boards in the same way. While many newcomers to the area would just pass it off as a train for giants, Sinclair is in fact its own living community; traveling across giant rails that trace a path through Veria. As the region's primary source of trade between cities, and even transport, their are ample opportunities for work and living located within its massive belly; making a living on this train is truly not as hard as it seems. Where the rare Pokémon run free! Make sure you have a Safari Tag before hitting the expanse. The Brilliant Pearl of the Sea, Caravella is a large port city, and the home and haven of the arts in Veria, some festival or concert always filling the air with culture. Draped and filled with canals, the city's love for the sea, for their culture, and for their architecture makes it a glorious tourist spot. Do try to pick up some Caravellian before going there - it's a delightful language. Also known as the City Wreathed in Snow, Aleal is a regarded as a winter wonderland by many, filled with warm people and a lot of animal farms and coastal amenities. Famed for romantic sights and its ice cream, the city is a popular spot for travelers and tourists alike. Be wary, though, the wilds around the area aren't as hospitable as the people. While the town is located almost entirely in the forest, Alto is a decent sized town with an interesting history. Placed on the Paradise Line mountain range Alto is a quiet, boring mountain town. Or it would be, if sadly there weren't recent and frequent disputes between the residents of Alto and the people who live in the forest with strong connections to the ancestors of the land. Most of Alto is powered by a multiple energy resources, including steam, wind and coal and recent talk about Hydroelectricity plans. Someone residents of the town clam that there is special creature on the mountain, but they are just written off as rumors. A unique city even from a global perspective, Pahala is divided into two distinct halves: one part being the "New", located off the coast; where six platforms exist, connected by suspended roads and bridges, with ferries operating around the clock between both platforms and coastal wharfs; and the other being the "Old", which is more a maze of concrete, water and plant life, the remains of the city as it originally was. A place known for its farming and vineyard produce, Alterna caters to the "organic" produce side of the region; as most of its products are distributed around via the Sinclair line. Most of its energy resources are pulled from nature all around, so it's not surprising to see that the place is called the 'cleanest' in all of Veria. The yearly migration route runs right through the area, so the flocks of travelling Pokémon headed for warmer ground are quite the sight to see. With a history stretching back almost as far as the first settlements in Veria, Liggs is a very proud and hardworking place, with mines of metals and Evo Stones still giving treasure after generations of mining. Liggs was practically the center of operations for the creation of the Tunnels and Sinclair's tracks, which they still hold in high regard, and for those interested in fossils, the Museum offers plenty to see. Split practically down the middle above and under ground, far up in the mountains, it's a difficult place to get to, but worth it. Located among the lower mountains and foot hills of the southern Paradise Line, Faraday is a mix of old and new. Incredibly difficult to reach by foot or the old surface routes due to the intense magnetism and resultant dangerous geography, many reminders exist of the city's old urban sprawl; as well as being the center of cutting-edge technological developments and advancements. A cavernous, mostly underground network twisting and turning all throughout the region; the Tunnels are used in many ways, ranging from a subway system to adventures to even Secret Bases. Be wary... Pokémon are a common sight, and some areas of the Tunnels are not as safe as others. It all depends on which city you're under to close to. Due to some Legendaries being tied to very specific areas, this location was created in order to be able to revisit any of the canon regions should the need arise. Please note, though, that no mod work will be done in this area. Here is where you will find any systems that require a modded summon, including Evo confirms, EM trading, and Gem exchange! General location of all Breeders' ranches, farms, hatcheries, and the like. Where training Regimens are done, to help your Pokémon get big and strong! Much like the IC Box, but a little slower-pace and long-term rather than snappy single-sitting RPs. Here you can test new muse ideas, play with silly non-canon ideas, try to warm up a slow muse you have on-site, or even create AU threads. Each thread creator sets their own rules so be sure to read carefully before joining a thread if you see one open. 2 POSTS Muse Warm Up! OOC conversations? Anything else catches your fancy? They go in here. Post your ads within! Guest-friendly! 332 POSTS Curse of the Clans | a very active warriors cat rp! 0 Gods, 0 Travelers, 1 Lurker. 1 Gods, 0 Travelers, 70 Lurkers.